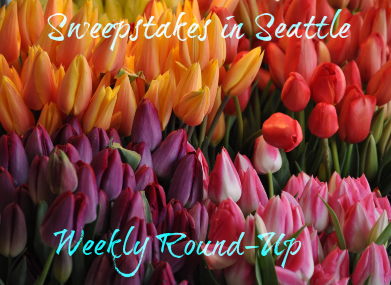 Sweepstakes in Seattle Weekly Round-Up 5/20 – Win the HGTV Smart Home, a car, $10,000, gift cards & more! I can’t believe it’s almost summer already! The weather doesn’t feel like summer yet, although we have had a few gorgeous warm days lately – I’m ready for more of those! My schedule is getting a little less crazy, so that means I have more time to share sweepstakes (and enter some myself). I just won a gift card to Walgreens – can’t wait to see what’s next for summer prizes! Let me know if you won a prize recently and I’ll share it on the next weekly round-up! Colin won a Fandango code from the Quicken Loans IWG (expired)! DeAnn won a $5 Walgreens gift card from the Walgreens IWG! Congratulations, winners – enjoy your prizes! Did you win a prize? I’d love to hear about it and share your winning story right here on the weekly round-up, just leave a comment on the blog. Enter every day to increase your chances of winning! INSTANT WIN GAMES::Number of entries allowed will vary. Enter once a week to increase your chances of winning! Check the rules, these may be monthly entry, bi-monthly entry or a sweepstakes specific entry period! Just started sweeping? Join me on our Sweepstakes in Seattle Facebook page! New sweeps are posted daily! And if you win – LET ME KNOW! I want to know who is winning so I can share the good news! You can also join my new Sweepstakes in Seattle Facebook group page and follow me on Pinterest!